Valid from 20 to 24 March 2017, 2359hrs, on any handcrafted beverage, all sizes across all Starbucks Singapore (except Changi Airport stores other than Terminal 1 Arrival Hall). Complimentary beverage will be that of the lower priced. 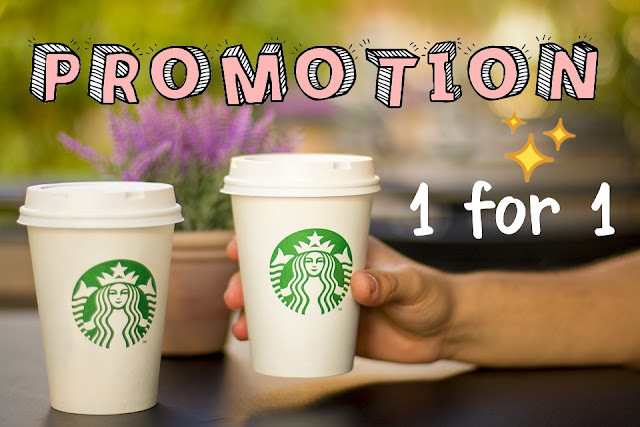 Limited to two vouchers per member, valid for one-time use only. 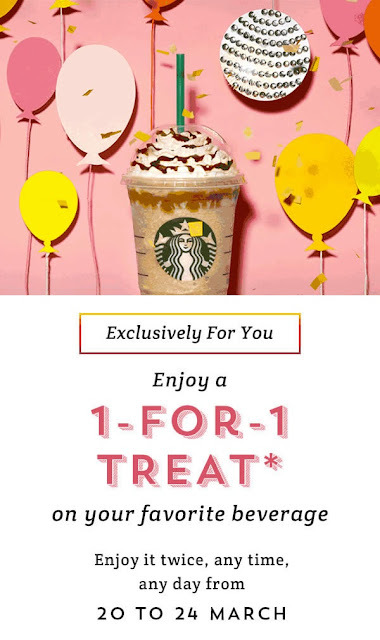 Offer is exclusive to your Starbucks account and non-transferable. Not valid with any other promotions or privileges.